The FIH inexplicably and confusingly use a system, not used in any other sports League in the World, of making the percentage more important than point until the end of the League when they will revert to points only. Fieldhockey.com prefers to use the conventional Points and so the Unofficial Pool Standings on this site are reflected in this manner. The goal scorers for Germany were Florian Fuchs and Lukas Windfeder, despite allowing four goals Tobias Walter played valiantly facing 14 Australian shot attempts. 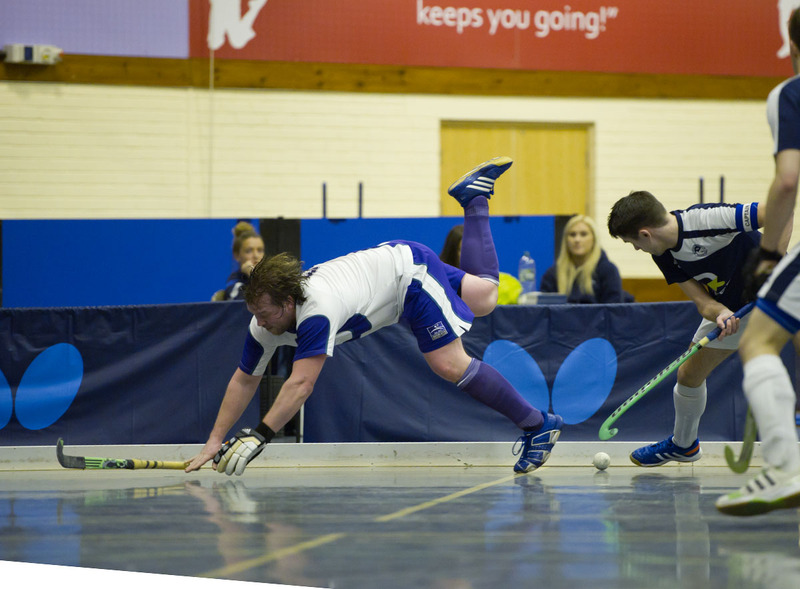 The Kookaburras take on the top ranked Great Britain in Perth next week. The Hockeyroos have defeated Germany 3-1 in an FIH Pro League shootout after a nail-biting 2-2 draw in Hobart on Sunday. Rachael Lynch and Grace Stewart were amongst the best for Australia but it was Sophie Taylor who earned Player of the Match honours after scoring her first international goal. The victory is marred only by a suspected ankle injury to forward Maddison Fitzpatrick. Goals to Taylor and Stewart weren’t enough to secure a Hockeyroos victory in regular time and the Australian’s couldn’t find an answer for Hanna Granitzki who scored twice off penalty corners. The win leaves the Hockeyroos on top of the FIH Pro League standings with two wins, one shootout win and a loss to their name. Glad to see Hockey Australia also reject the non-sensical Percentage ranking the FIH use to rightfully claim they are top of the standings. Man Meet Kaur of Terengganu (right) fights for the ball against Liaoning’s Li Yuqi during the National Women’s Hockey League at Jalan Duta Hockey Stadium. - MUHAMAD SHAHRIL ROSLI/The Star. KUALA LUMPUR: Liu Xinyu was the heroine for Liaoning Club as she helped the team beat newly-crowned league champions Terengganu 1-0 in the National Women’s Hockey League. Xinyu scored the solitary goal in the 45th minute from close range in the fourth quarter at the Tun Razak Hockey Stadium in Jalan Duta on Saturday. With the win, the Chinese club, who are featuring for first time in the league, finished third with 25 points from eight wins, a draw and three defeats. Terengganu, who clinched the league title on Feb 7, were not too disappointed with the defeat as they did not push themselves in the match. Liaoning Club coach Goa Lihua said it was tough playing three matches a week but she was pleased with the team’s overall performance. “We’ve finished third in our league debut - that’s good. We’ve qualified for the overall cup (Vivian Soars Cup) and I want my players to win it,” said Lihua. Only the top-four teams - Terengganu, Police Blue Warriors, Liaoning Club and PKS Uniten - will feature in the Vivian Soars Cup. The first leg semi-finals matches between Terengganu versus PKS Uniten and last year’s overall champions Police Blue Warriors versus Liaoning Club will take place on Tuesday at Tun Razak Stadium. The return legs will be played at the same venue on Thursday while the final is on Feb 16. KUALA LUMPUR: Faiz Helmi Jali of Tenaga Nasional has a tall order to fulfil. He has been asked to play a defensive role in the Malaysia Hockey League (MHL). The five-feet tall skipper has been handed a heavy responsibility in defence in today’s crucial match against Universiti Kuala Lumpur (UniKL) at the Tun Razak Stadium in Jalan Duta. Both teams need a win to stay in contention for the league title in the top of the table clash. Powered by six foreign and three national players, UniKL are leading the standings with 22 points from eight matches while Tenaga are just a point adrift in second spot. UniKL have the psychological advantage as they have defeated Tenaga 3-1 in the first round match in Bangi. National defender Faiz said it would be a herculean task for him and his teammates to stop UniKL from collecting full points – especially in the absence of national defender and penalty corner flicker Syed Mohd Syafiq Syed Cholan, who is out due to a wrist injury. “The defence is weakened in the absence of Syafiq. I’ve to play in defence with Shazril (Izwan Nazli) and youngster Muhd Arif (Syafie Ishak),” said Faiz, who is featuring for the 10th time in the league. “UniKL have a solid team with two very good drag flickers in Muhd Razie Abdul Rahim and Holland’s Martijn Havenga. “We’ve to be on our toes throughout the match as we cannot afford to give away penalty corners. We also have to be wary of their strike force. UniKL coach A. Arulselvaraj expressed his concern over Timothy Deavin who suffered an ankle injury during Friday’s match against Universiti Teknologi Mara (UiTM). “I’m not sure whether he will be able to play or not. Overall, the team must be smart in making use of the chances and penalty corners to win,” he added. KUALA LUMPUR: The Malaysian Hockey Confederation (MHC) disciplinary board today suspended NorInsafi player Jiwa Mohan for three matches while Universiti Kuala Lumpur (UniKL) coach Arul Selvaraj was given a warning. Both were charged for breaching the Malaysia Hockey League’s (MHL) code of conduct for not using proper channels to voice out their dissatisfactions about the tournament. Lawyer Jadadish Chandra chaired the hearing together with Peter Gan and former international Shankar Ramu. “We gave them a fair chance to defend themselves. While Arul admitted he should have used proper channels, Jiwa denied stating anything against the league. “After taking mitigation factors into consideration and the fact that Arul saved our time by admitting what he said, we gave him a warning. “Jiwa was charged for not attending the recent MHL technical committee hearing and also for making a (negative) statement in the media about the MHL. “The player claimed that he did not make the said statement, but after a round of questioning, we discovered he had said what was printed (in one of the newspapers). “The fact that he did not attend the technical committee hearing, saying that he was not informed by his manager and that it was held on a public holiday (Thaipusam), we decided to hand him a three-match suspension,” said Jadadish. Jiwa will serve the three-match ban against Terengganu Hockey Team, Universiti Teknologi Mara (UiTM) and UniKL. Both had spoken about the ‘drastic drop in the number of teams taking part’ in the MHL. KUALA LUMPUR: Nur Insafi player M. Jiwa Mohan was suspended for three matches while Universiti Kuala Lumpur (UniKL) coach A. Arulselvaraj was let off with a warning by the Malaysian Hockey Confederation (MHC) Disciplinary Board. Jiwa and Arul were slapped with a code of conduct charge for using the wrong channel to voice out their grievances about the Malaysia Hockey League (MHL). The disciplinary board was chaired by lawyer Jadadish Chandra with two others, lawyer Peter Gan and former international Shankar Ramu. National hockey player Jiwa Mohan.Star pic by ASRI ABDUL GHANI / The Star / June 02, 2018. “We gave both of them a fair chance to defend themselves and Arul admitted that he made the statement and he should have used the proper channels. Jiwa denied making the statement,” said Jadadish. “Jiwa was accused of two charges, one of not presenting himself to the Technical Committee hearing and second for making statement in the media about the league. “Jiwa said he did not attend the technical committee hearing because he was not informed by his manager about it and also that it was held on a public holiday (Thaipusam). We decided to suspend him for three MHL matches with immediate effect,” said Jadadish. Jiwa will not feature against Terengganu, Universiti Teknologi Mara (UiTM) and UniKL. Jiwa had said in the media that the MHL is declining with a drastic drop in the number of teams competing in the MHL, while Arul said that the MHL looked like it was going to close shop because of the lukewarm response this season and something needed to be done to revive it. Arul was relieved to be let off with the warning. 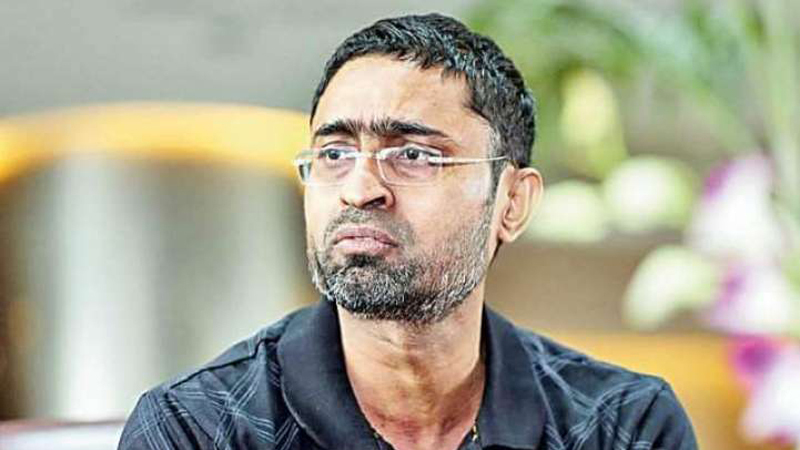 Shahbaz-SeniorPakistan Hockey Federation (PHF) secretary general Shahbaz Ahmad Senior, a controversial figure in Pakistan hockey, is back at the helm of PHF affairs after his resignation was rejected by PHF president Muhammad Khalid Sajjad Khokhar. It is pertinent to mention that Shahbaz resigned just to hoodwink all and sundry and get financial grant for the national federation. After assuming charge at the PHF, he vowed to do his best to avoid any kind of sanctions of the International Hockey Federation (FIH) on Pakistan in the wake of its failure of not fielding the national team in the newly-introduced FIH Pro League due to the financial crisis. “As I am a member of the FIH Competition Committee and Executive Board, I will try my best to avoid the sanctions. Pakistan has a great contribution in the world of hockey so, hopefully, we will escape any penalties for not entering the team. Shahbaz resigned as PHF secretary after Pakistan’s dismal show at last year’s World Cup in India where they finished last. During this period, Ayaz Mahmood was appointed as associate secretary and Ikhlaq Usmani was made acting secretary. Usmani decided not to send the team to Argentina on the first leg of the Pro League. He said had the federal government released the sanctioned grant of Rs200 million of the PHF during the interim government in June last year, the Pakistan team would have been participating in the ongoing Pro League. He said that with the limited funds in PHF’s accounts, it was not possible to spend any money on the national team’s participation in the Pro League. Shahbaz also lashed out at former Olympians for unnecessarily criticising the PHF over the use of funds. He said the Olympians should wait for the audited report of PHF funds. He said though the Olympians were frequently saying the PHF received Rs540 million, they never spoke of the fact that the national team also had 27 tours in this period. Shahbaz also criticised media for only criticizing him for the decline in the performance of the national team and there was not a single word against the roles of players and coaches. He regretted that the fitness level of Pakistan players was not up to international standards. Shahbaz said all the previous selection committees headed by Hasan Sardar, Tahir Zaman and Khwaja Junaid did the team’s selection on their own, and he had never interfered in their matters. He proposed that the PHF would have no objection if the federal government directly made all arrangements of the tours of the national team on its own and just release some portion of the funds to the federation to run the offices. He said the much-awaited meeting of the PHF Congress would be held in the current month alongside the National Under-19 Championship to be held in Islamabad. He said at least Rs 2.5 million was required to hold the meeting of the Congress.